Tourists tend to come to Qormi on just one day of the year. On Good Friday crowds pack its streets in the late afternoon to watch one of the more extravagant Good Friday pageants that are held in Malta, in which some 500 of the villagers take part. For the rest of the year Qormi is very much off the tourists’ radar – who are mercifully spared the pronunciation of that Maltese alphabetical conundrums – the guttural ‘q’. But Qormi does deserve a second look. By Maltese standards it is quite a large village. Its existence goes back at least to the thirteenth century when the town’s name, Hal-Qormi in Maltese, is first recorded. However the village only prospered and grew after the Great Siege of 1565 when the danger of Ottoman attacks receded. The Knights nicknamed the place Casal Fornaro (literally the bakers’ village) because of its numerous bakeries. Some of these still exist today and Qormi is still seen as the producer of some of the best bread on the islands. Qormi’s pièce de résistance is undoubtedly its parish church of Saint George. The church was built around 1585 and has what are probably the islands’ most elegant bell towers. The famed local architect Lorenzo Gafa (builder of Mdina’s cathedral) added the church’s beautiful dome around 1684 and the church is also adorned with an altarpiece by Mattia Preti – a mature work by this Malta-based Calabrian artist, and his last known work before he died. The saint’s feast is celebrated in June. 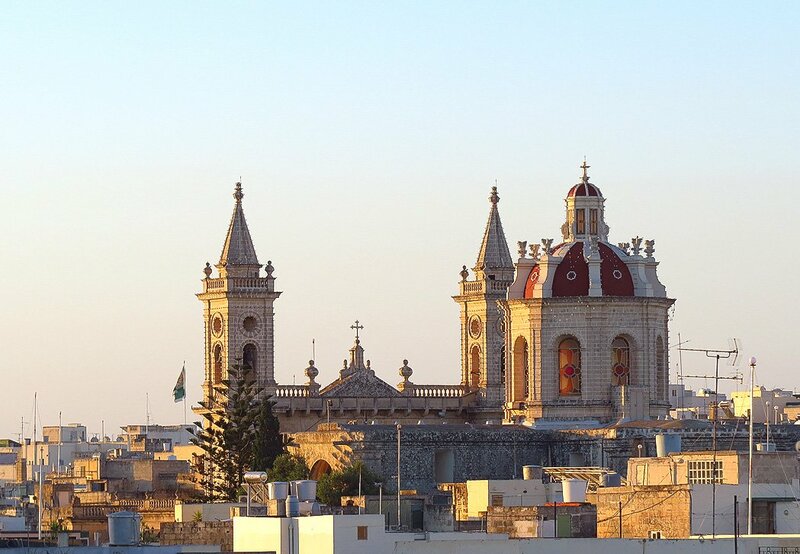 But Qormi also has a second parish, dedicated to Saint Sebastian. 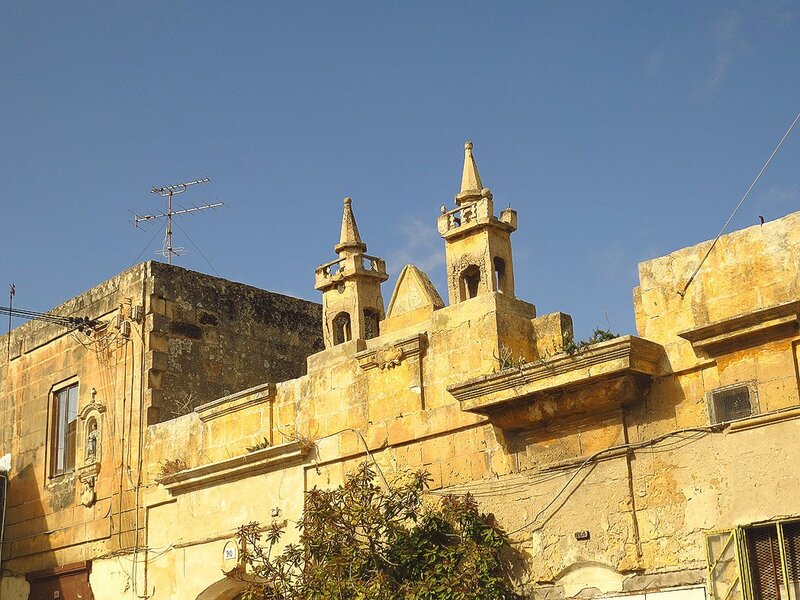 There is much rivalry between parishes and it is a well-known fact that when the feast of Saint Sebastian comes round in July quite a few San Gorg parishioners ‘migrate’ to Gozo for the weekend – to celebrate Saint George again when Victoria holds its Georgian feast. The modernist church of Saint Sebastian is a stone and concrete affair and not the prettiest of churches on the island. This 20th century construction took over parish duties from a much smaller church dedicated to the saint. The old Saint Sebastian church still exists too – and it is a fine 19th century construction with a narrow façade flanked by two ornate towers. 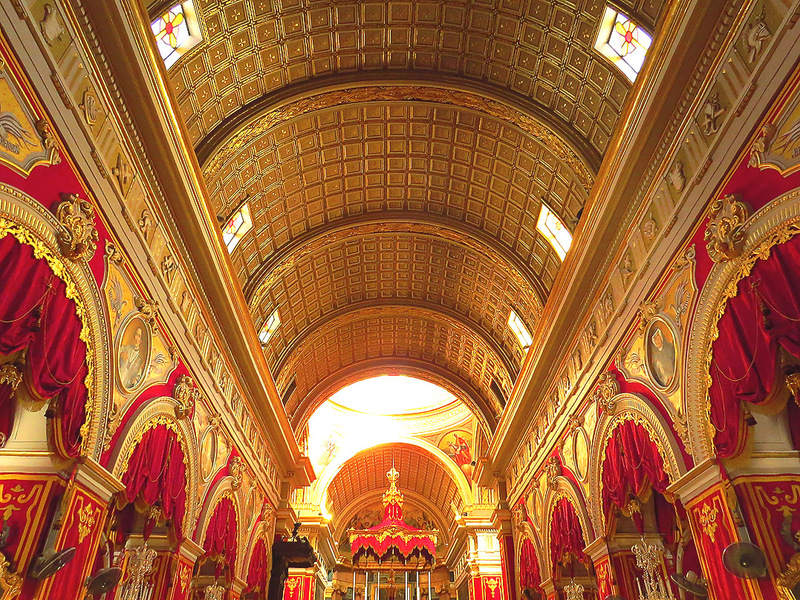 Qormi has a wealth of small chapels – most are clustered around a couple of streets in the centre of town. The church of Saint Francis on the square bearing that name is the largest. Nearby one can find the smaller chapels of Saint Peter, Saint Catherine and Our Lady of Victories. But it’s also the narrow streets and alleyways of this town that add to the place’s character. The area around St. George’s church is the most atmospheric on this score and there are a few well maintained palazzi here and there. 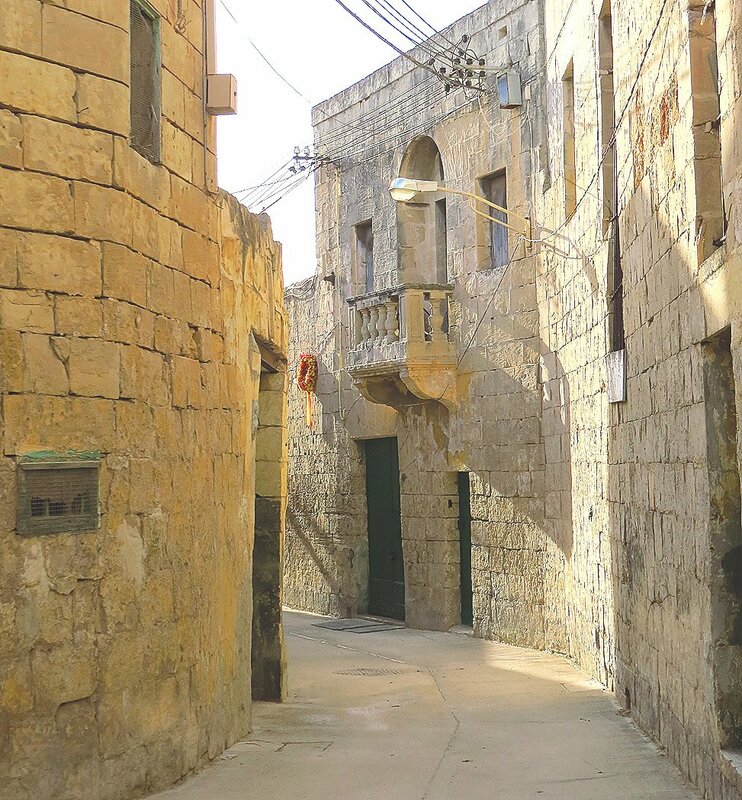 This is the sort of place where even the locality’s police station is a graded building – a robust 18th century building which served as Qormi’s armoury during the time of the Knights. One of the last Grand Masters of the Order in Malta rather grandly bestowed the title of city to Qormi and the town is still sometimes referred to as Citta Pinto. A city it may not be but a much loved home town for some 16,000 or so Qormin it certainly is. Being off the tourist radar Qormi only hosts a couple of restaurants but the centre of town has an abundance of snack bars and cafes and even a couple of wine bars.